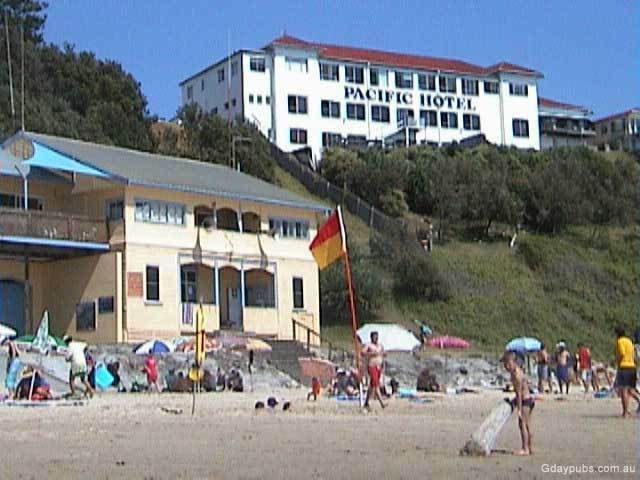 The Pacific was built in 1934 and at the time laid claim to being "The most perfectly appointed place of all seaside resorts north of Sydney". 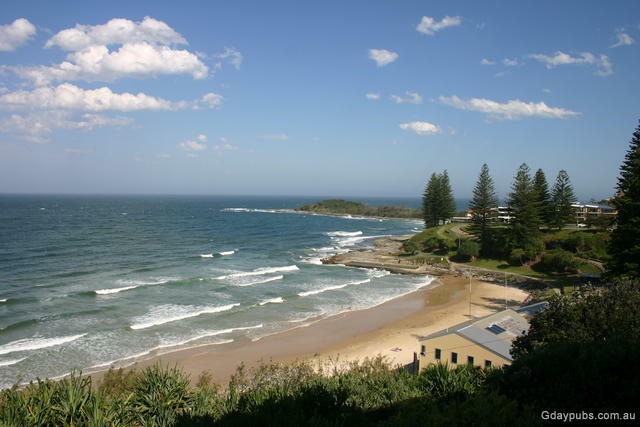 Wonderfully positioned, the Hotel over looks the picturesque Clarence River entrance and Yamba's main beach and although there have been considerable changes since it was built, it still retains the "Art Deco" style of the 1930's. 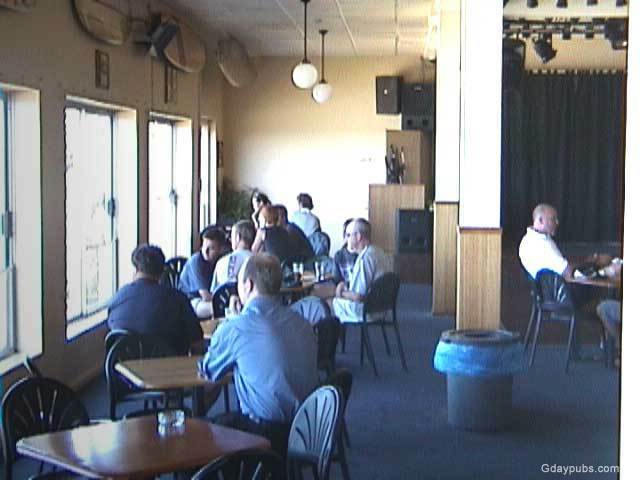 There are 25 rooms offering a great range of accommodation to suit all, from Honeymooners to Backpackers. Choose from Double Rooms to Sleep 6 rooms. The Pacific Hotels reputation is founded upon the unsurpassed views, excellent meals and Bar selection with the restaurant featured in the SMH good food guide over 3 years and Gourmet traveler. Famous for seafood, try the "yamba prawns and calamari. Drop in and Say G'day. The views are superb from the lounge, deck and rooms. 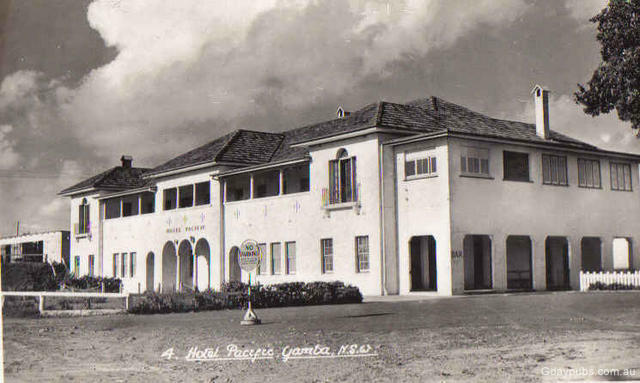 "Was going thru some of my Dad's old photos, found this one of the Hotel Pacific in Yamba NSW . 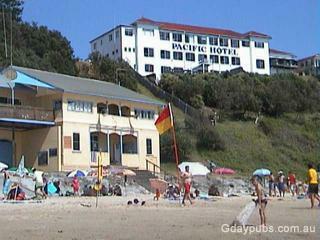 We spent every holiday there from 1960 thru until about 1976, even after we moved to Sydney. Great Stephen . Thanks heaps. Great pic.